Herculaneum. 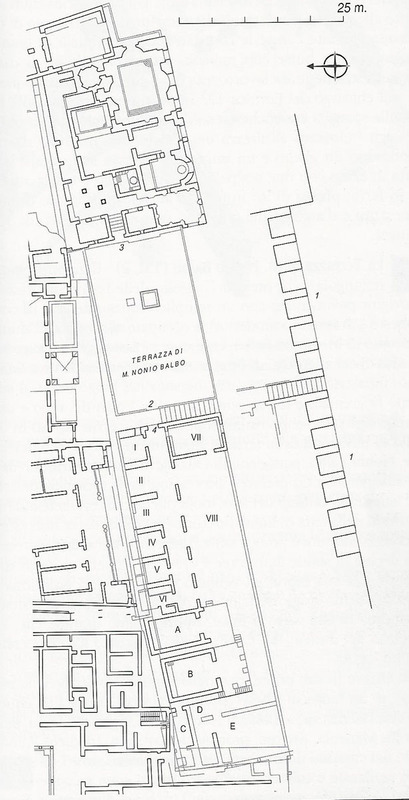 Plan of South-east Corner. The terrace is shown to the left and the lower level of the boatsheds underneath and the beach is shown to the right. Click on the plan above or the links below to see the photos for that area.